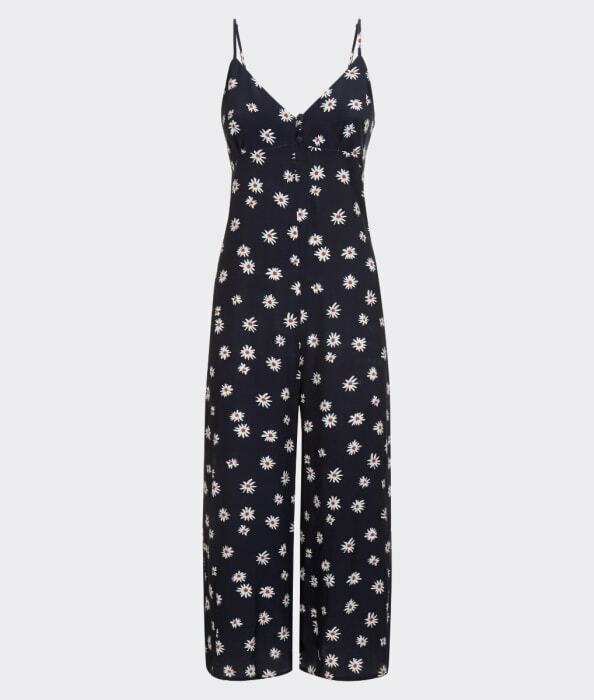 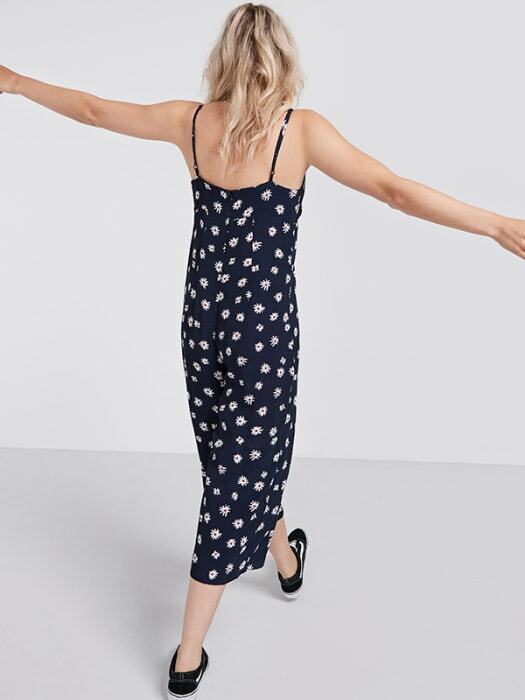 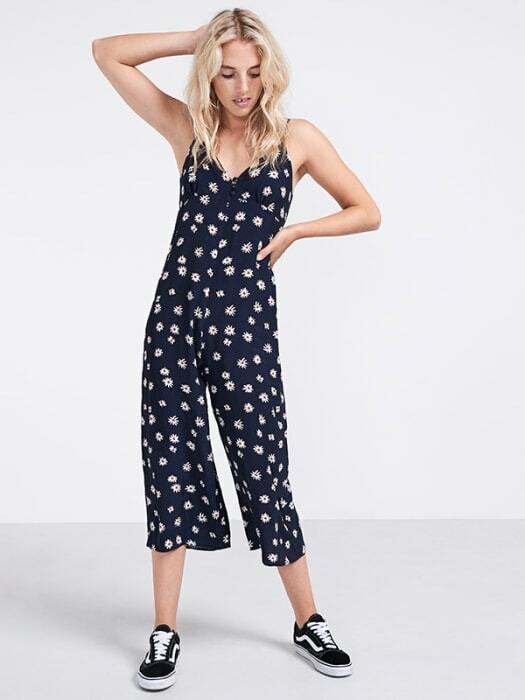 The last word in stress-free styling, this daisy-dotted Cami Jumpsuit will prove an absolute lifesaver come Monday morning. 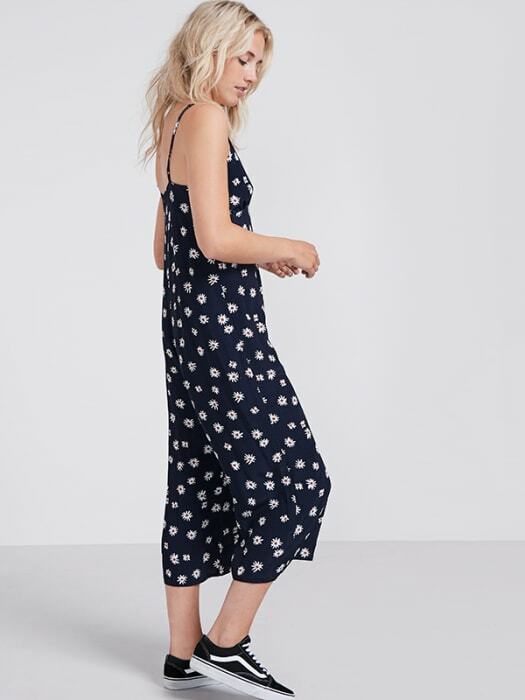 In an ultra-wearable shape, the all-in-one style gathers just above the waist, before falling to a super-breezy pair of cropped wide leg trousers below. 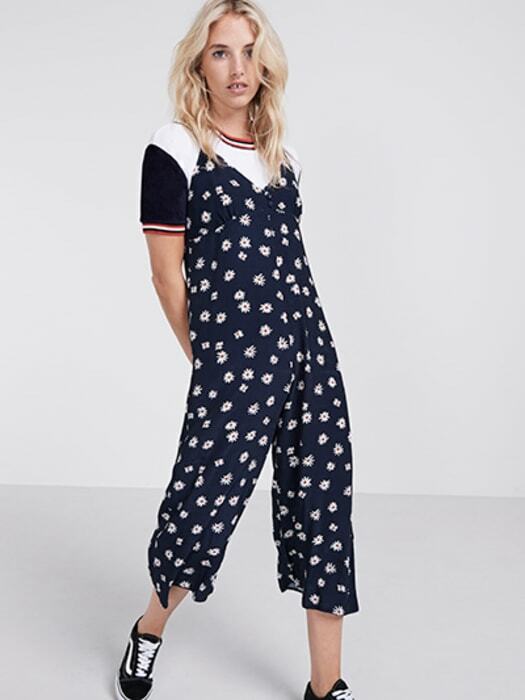 Layer it over a tee for a casj-cool vibe.